Thank you for the write up and review of the overhead dvd upgrade. For anyone here who had questions or would like pricing on upgrades please call 866-428-3585 or text me at 919-995-9523. Thank you for the review, we are glad to hear you are happy with your upgrade. The kit you purchased is the I03 to I0B upgrade which we continue to offer for the guys who are interested. This above video is showing additional features beyond what you purchased via our plug and play module. This upgrade will add a navigation option to the IOB system along with a dedicated HDMI input Just to clarify. Rock1500 Depends on what camera configuration you are interested in. We offer the module with many different options please visit our website at: https://www.gm-navigation.com/shop/2014-2016-gm-360-surround-and-blind-spot-camera-system/ to build your system and select camera options for pricing. Upon checkout please use coupon code mvi360 for the $150 discount mentioned. Again the site will currently reflect a display of a I05/6 vehicle but we offer the module for Iob (7" screen) as well. any questions feel free to call or reach out via text to me. Hey guys just reminding everyone of our current weekend specials we are currently offering. 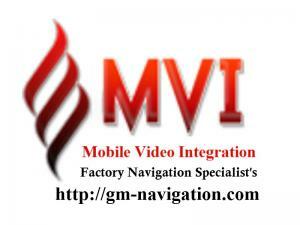 For anyone with the larger 8" screen and would like to add navigation we are offering the factory navigation upgrade module at $30 off right now. Not only are we offering the discount but the modules will ship with all new 2017 factory mapping. To take advantage of our weekend offer please visit our website at: https://www.gm-navigation.com/shop/2014-chevrolet-silverado-factory-navigation-system/ at time of checkout enter: 2017nav for the coupon code. For those of you who require additional assistance or prefer purchasing over the phone with a sales representative please contact us today. We have modules available for the 2014-2015 and newer 2015.5 along with some 16 CPO vehicles as well. For any additional info or questions concerning our weekend specials please call us at 866-428-3585 or via text at 919-995-9523. Hey guys just wanted to inform everyone of our current this weekend only special on factory navigation upgrades. 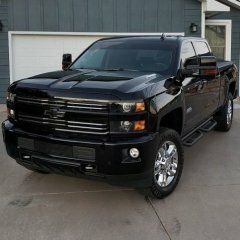 Please visit our website at: https://www.gm-navigation.com/shop/2014-chevrolet-silverado-factory-navigation-system/ and use coupon code: 2017nav for a $30 discount at time of checkout. We have units available for 2014-2015.5 vehicles, and for some of the 2016 CPO vehicles available. You will receive the module fully programmed and ready to install which includes the all new 2017 factory GM mapping. <iframe width="854" height="480" src="https://www.youtube.com/embed/iuL_8RSmwJc"frameborder="0" allowfullscreen></iframe> for those who have additonal questions on fitment and pricing please feel free to give us a call at 866-428-3585 or contact us via TEXT at 919-995-9523. Hello, Just wanted to let everyone know about our weekend only special. For this weekend only through (9-18-17) we are proud to offer you a huge discount of $150 off our new camera solution for the I05 / I06 vehicles. To learn more or take advantage of this current special please visit our website at: https://www.gm-navigation.com/shop/2014-2016-gm-360-surround-and-blind-spot-camera-system/ at checkout enter coupon code: mvi360 . Please enter the coupon code in all lowercase letters. For anyone with additional questions or who prefers to checkout over the phone with a sales representative please call us at 866-428-3585 or Via TEXT at 919-995-9523. Hello, Just wanted to let everyone know we have a special on this upgrade at the moment. Through this weekend only (9-15 to 9-18) we will be offering a huge discount of $150 off our above mentioned camera/HDMI input module. This discount is availble by visiting our website at https://www.gm-navigation.com/shop/2014-2016-gm-360-surround-and-blind-spot-camera-system/ and checking out with the coupon code: mvi360 . Please use all lowercase letters when entering in the coupon code. Please feel free to reach out to us with any questions or concerns at 866-428-3585 or via TEXT at 919-995-9523. NOTE: The above video link is showing the module in use on a I06 (8" screen) vehicle we are in the process of adding the IOB version to the website as we speak. Hey everyone. I wanted to announce that we now have a new I03 (Small Screen) upgrade to I0B available that will take you to the 7" HD Screen WITH CarPlay / Android Auto. We have noticed through testing that the I0B screen appears to have better clarity than the 8" screen does and we can offer this WITH Carplay / Android Auto for about the same price as going to the 8" screen. Check it out!! We can also then add camera and HDMI Input!! No way currently to add a recorder to the front camera Factory option, however there are other options available now. There is a thread for the camera stuff in here. I'll get that and post it so you can read up there.